We take Amerian Express now! Want to up-date your Kitchen without spending a fortune?? Call Us!! We sell materials for the do it yourself person and offer professional installations! We fabricate and install laminate and cultured marble countertops. Countertops 4 Less is the solution for all your Laminate countertop needs! Serving the San Diego County area since 2003. 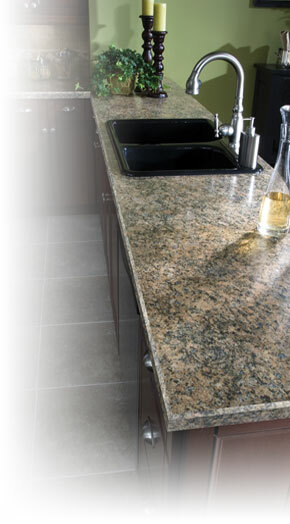 We have over 24 years combined experience in the custom countertops Industry. Call Countertops 4 Less today for a free estimate or fax over your diagram and we will provide an estimate. Our California State Contractor License is 826480. If you need more information about our company, please don’t hesitate to contact us. We can provide references at your request.